This situation is not about that the scenario is not supported, but rather, it is about how the merge algorithm works. The default merge algorithm tries to join as many conflicts as possible. 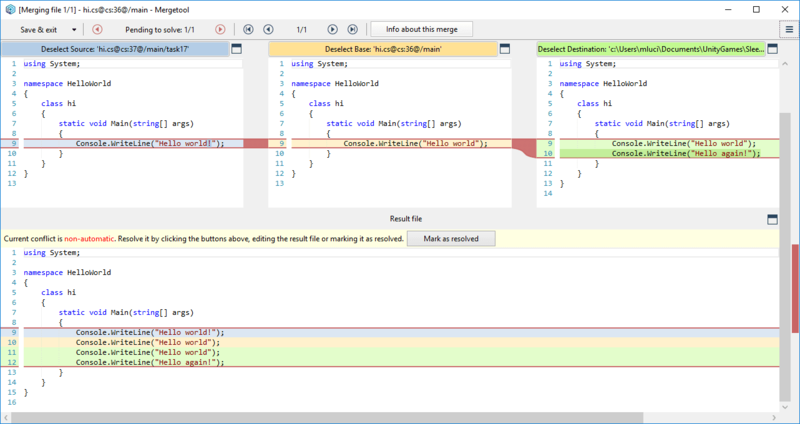 In this case, it proposes a manual conflict to let the user verify if the new line added by the destination contributor works well with the line changed by the source contributor. We allow the user to change the described behavior by using the "Split conflict blocks" option. With this option enabled, the merge algorithm splits the conflict in two (or more). In this case, this is enough to turn the merge into an automatic one. 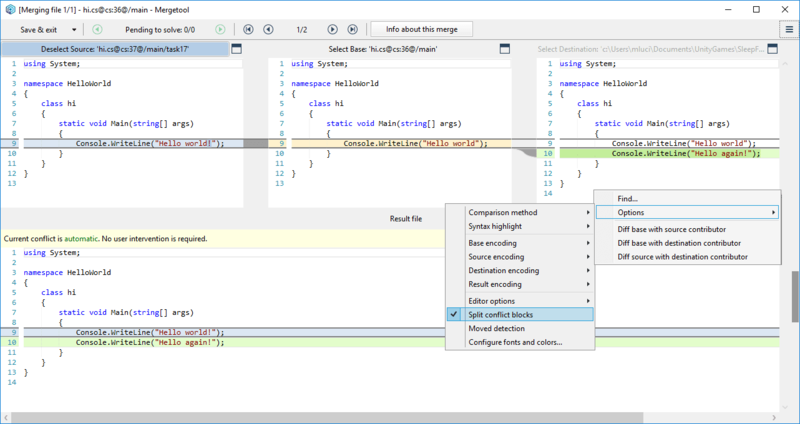 The image below shows the same merge scenario using the "Split conflict blocks" option. The first conflict refers to the first line changed from Console.WriteLine("Hello world"); to Console.WriteLine("Hello world!");. That is 100% automatic. The second conflict is the add operation of the line Console.WriteLine("Hello again!");. This is automatic resolution as well.